Actually USING the Orange Pi by prepping your memory cards. Lets get right down to using this Pi instead of being like many of the blogs out there which want to give everything with the word “Pi” in it a cosmic hand-job over how awesome the hardware is. Don’t get me wrong , I am humbled to live in an age where you can hold in the palm of your hand the same computing power that took an entire data center from the 90’s to handle. But Orange Pi is riding on the massive success of the Raspberry Pi and even coming out to say that everything that you learned from the Pi will be compatible with the Orange Pi. But like everything in life there is a catch to it all! Orange Pi really hates slow TF/Micro-SD cards. If you have anything less then a class 10 TF/Micro-SD card you are pretty much screwed in getting the Orange Pi to work. The testing and production of the Orange Pi was massively rushed and as a result it can’t step down to be more compatible with other types of TF cards. 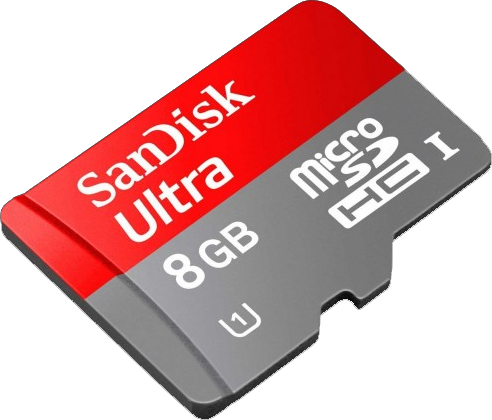 This is a minor problem now-a-days as you can actually get class 10 Micro-SD cards to relatively cheap. We personally picked up a pack of 3-32gb patriot SD cards for around $12 which is good because we’re going to be using all of the cards to really test out each of the linux distros and android as well. Orange Pi android OS loading is really bizarre. You have to use a program called “PhoenixCard” in order to load the Android image onto a SD card for your Orange Pi. This is because of the bizarre way it partitions and assigns boot-sectors to it in order to make your SD card actually boot-able. Orange Pi lights can be confusing. The unit that we acquired is an Orange Pi PC v1.2. Click here if you want to see the specs of this unit. As far as the build quality is concerned, there was people that were complaining about cold solder joints and crooked connections. However, since I was a bit late to the party and didn’t get my pi direct from china for $15 instead I picked it up from an American vendor for around $22 dollars. My Orange Pi looks very good. clean soldering with no crooked or loose connections on it. USB just to power your most basic devices on the Orange Pi is practically non-existent. Now this is something that almost all Pi’s are guilty of to one extent or another. But Orange Pi takes this to a whole different level. Yes, it gives you 3 USB ports and 4 if you count the OTG connector. But as I discovered even plugging in a keyboard rated at 80mA is enough to shut down to the USB port. Unbelievable! I have to actually use a powered USB hub in order to use the thing! Much heat, such burn! WOW! Now that I got my doge meme’ mode out of the way the Orange Pi gets stupid hot! To the point where it starts shutting down cores in order to keep it from locking up. Now as many brownie points as I can give to a unit that doesn’t simply lock like the Raspberry Pi B+ did to me in my previous blog. It’s simply unacceptable to sell a product stating how awesome it will be without providing adequate thermal protection for your the product that you are selling. Also noted the Orange Pi is one of the only units I have worked with where the TF card slot was burning hot!!! So in effect the ground plane of this board is also acting as the heat-sink? This could be suspect of many memory card deaths if this is the case. This is because in many of the images there is no scaling of CPU clock when idle versus at full load. And they overvolted the CPU to run at approximately 1.52Ghz at all times. Currently the SunXI team are working on a kernel patch to prevent this from happening to the point where you no longer require a heat-sink. For those wondering this was not happening in just one image where the CPU was maxed out all of the time like the Android load I was using. This was happening is Raspbian, Debian, and Ubuntu as well. Unless of course you jump onto the Orange Pi forums and download one of the user generated distros which has the power management featre built into the app finally. Now if you’re saying that you need a heat sink on all Pi’s. If you’re playing games on it like emulators non-stop then perhaps. But on both my Raspberry and Banana Pi I was running a lot of stuff on them and the worst that happens is they get warm . So that’s why I can’t excuse the OrangePi for it’s burning chips. Some people on the forums try to explain away the burning issue that it’s simply an issue with power management going to the Chip that it isn’t Xunlong software’s fault. But it kind of is when the release images heat up the chips the same way! If you don’t spend the time to actually regulate your own chips then you deserve blame. When doing some basic sound-tests in Android. The end-results of the quality is like a very low quality android phone. You can do it. But the muffed quality is simply bad. You are probably better off de-soldering the microphone and attaching a jack to add your own non-powered microphone to do a better job. Just like my Banana Pi I have placed the Orange Pi into one of my black ABS box cases that I got ultra cheap and re-wired the power, USB, and Ethernet to one side, while positioning the main board against another side to make HDMI and audio accessible. Once again I’m using two LM2596s to govern over the power regulation of this unit as I have an abundant amount of 12vdc power supplies to use. But unlike my Banana Pi case mod where one controls the board and the other controls a SSD drive at a constant and stable 5.10vdc. Only one going to the board and USB ports is powered at 5.10vdc the fan is potted down to around 3.8vdc where it is practically silent. Even the Orange Pi heats up you don’t need massive air-flow to keep the cores from shutting down. just barely enough to move air around is more then enough. I never believed in purchasing a pre-built case for a Pi, it should be something that is made yourself, from Legos to wood to recycled ABS cases. It simply adds more character. Special notes about modding tools. It should be noted that using just a dremmel and a file may not be the most ideal for ABS plastic case modding. My cuts are rough with most of the covered by screws whenever possible. There is special tools that mount to heating guns which allow you to make perfect squares in thin material such as plastic. As always, make sure to wear safety protection gear such as glasses and ear plugs. Also be sure to operate said power tools in a well ventilated area. In this section, I’m going to break down some of my experiences with the Orange Pi starting with just the general software issues that were experienced. Support for Orange Pi on forums. When it comes down to Orange Pi as a company their lack of communication and the company made images of the Orange Pi are just about laughable. Their version of Raspbian is just a made of BananaPi with their mods attached to it in a very poor manner. Which leaves you twisting in the wind in the hopes of relying on the community. And although there are a few people out there which is trying to make a difference like “Loboris” on the forums which is making stable distro’s for the Orange Pi there’s only so much a handful of people can do. And with Sound not working and crippled video. It leaves the options rather limited for what you can do with the Orange Pi in terms of game development. As an example I wanted to find out if there was a way that android Bluetooth was supported and what possible USB dongles I could get for it so I could hook up my Ouya controllers inside of an Android OS on The Orange Pi. Turns out there was a thread dealing with this but due to misinterpretation they think Bluetooth compatibility and wi-fi compatibility are the same thing. Thread derailed with no moderation to correct. It’s those things that can really set you apart from being a community that is informed to just a chaotic nightmare. Please don’t distribute images. We don’t want to dumb down the community. Right, because it’s real fun compiling everything on Linux from scratch right? Especially in half-completed documentation and broken links. Cull out the herds from your community until there’s just you and maybe some other jackass that is exactly like like. That’s a terrific business model for selling Orange Pi board. Elitist prick. This is the most brutal blow to owning this Orange Pi. That the MALI chip-set doesn’t even work in all of the Linux images I have tried. Granted, It’s just a MALI400 chip-set so don’t expect miracles out of it. It is at the very least expected it to WORK like the Raspberry did. What Orange Pi delivered was a lot of trash talk stating how awesome this chip is if and when you can use it. Now you can use this in android and was able to get XBMC loaded onto android as you could see in the videos posted. But it’s slow underneath android the h265 decoding is meaningless if you’re running android 4.2 or 4.4 as even though the chip may be capable of handling it only Android 5.0 can fully use the library which Android 5.0 is not coming to a unit that only has 1GB of ram. This makes the Orange Pi useless to anyone who wants to game or emulate or hell even use this as a media PC! The version of android used was found on the Orange Pi’s forums as the official Orange Pi Android release is all in Chinese. And ultimately had to go on their forums to download a user compiled version of android that was usable in English as well as other languages. This is another department that really hurts the Orange Pi. Apparently the Orange Pi version 1 can accept images from Raspbian directly. However, the Orange Pi 2 and Orange Pi PC versions cannot and need their images modified with a kernel in order for it to work properly. This is a major set-back and only serves to fragment the ARM community by doing this. There are people out there trying to unify drivers for the processor, GPU, and sound under an Allwinner project. But that project is simply not ready to welcome Orange Pi into the mix again. 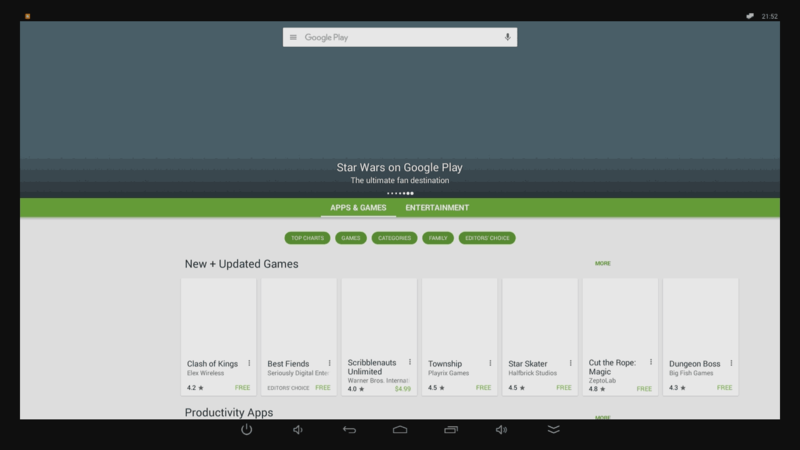 From navigation inside of google play, to launching a simple app like file explorer. Everything moves so slow on this unit. We expected it to at least come to par with something like a GameStik but it’s even slower then that with heat-sink and fan pointed at it. It’s a real shame. Perhaps it may be one of those bugs in the images once again and it’ll get better over time. When loading games such as BombSquad via GooglePlay, The Mali Chip does do its job, but it’s constantly waiting for data to download which generates large gaps of lag during game play. This may come full circle back to the cores overheating and/or issues with the CPU bus talking to the TF card. Update 4/23/16 – Use the right kind of card! Broken scripts and custom partition tables. Unless you are using one of the forum images. On the Orange Pi the most simplest action to expand the filesystem are useless. Upon this will list your partition tables, you’ll note how the Orange Pi’s partitions do not start on zero? It’s strange, take note as to where partition 1 ends as we will need that info in a bit. Now it will ask us where to start the partition. We want to start it one block from the end of the first partition. Once you have that set it will then default to the full size of the SD/TF card instead of only giving you a few megs. To view the changes again verify everything is set correctly. To finally write data to the SD Card. As a note it will not take effect until you reboot your Pi. to reclaim the rest of your TF card. From here you can go about your apt-get update and apt-get upgrade without worrying about running out of space. As for WHY it was broken? Well, this gets back to the way the Orange Pi PC compiles their images breaking the standards that are already in place. No-Go on using Orange Pi as a NAS server. If you’ve been reading my previous blog I did find a use for my Banana Pi M1 to be a very efficient NAS server complete with SATA port hooked to a 120GB SSD drive getting approximatly 140MB/sec which is awesome! But I know what you’re asking. S, there’s a new Orange Pi called the Orange Pi 2 Plus. It has SATA on it. It should be better then what your running on the Banana Pi M1 right now. Let’s push aside the cost factor for a moment here. The Banana Pi M1 housed a A20 Armv7 processor that had a very unique feature built right into the chip which is to handle SATA traffic directly to the microprocessor. Very few ARMv7 chips on the market mirror what the A20 did. Unlike Banana Pi which just angered us by them flat out lying to their customers by stating that their upgraded version the Banana Pi M3 is exactly like the M1 in every way but faster only to get your money only to later on feel buyers remorse when you look at the fine print. 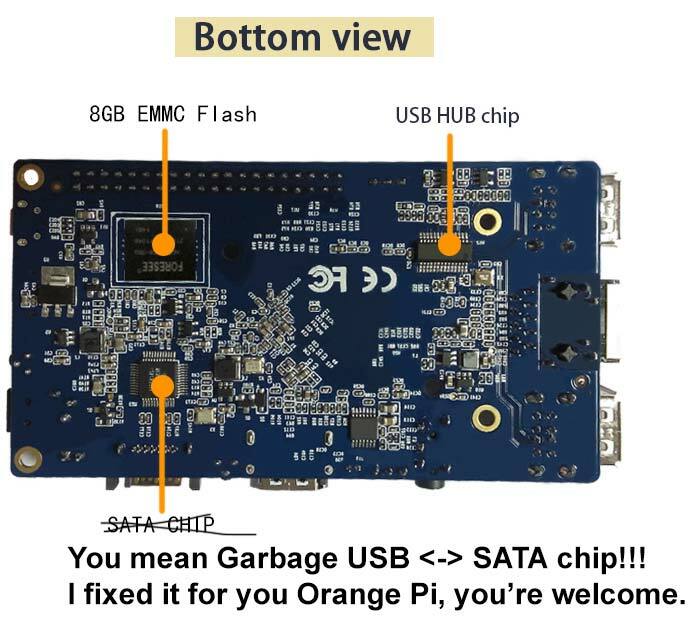 The Orange Pi people simply put on a chip because users kept asking for it not really understand what it means to have on-board SATA in the first place. The Orange Pi Plus 2 suffers from the same anemic chip-set bandwidth problems that the Banana Pi M3 does with transfer rates only being around 14MB/sec . 1/10th of the throughput speed of the banana Pi M1. Although with more processor power would come faster Gigabit transfer rates then 400Mb/sec. The Orange Pi Plus 2 defeats itself before it even had the chance of becoming a good NAS server. Just like the Banana Pi M3 the only thing the Orange Pi Plus 2 has going for it is 2gb of ram which is useful for heavy hitting programs like java. At this point of the game since they’re no longer making Armv7 processor with native SATA in them you minus well hunt for a board with USB 3.0 if you ever want NAS capability out of a Pi-like Board. If you have some headless needs that require a lot of CPU power such as OpenSim running the Mono development platform or hosting quake matches or even a heavy duty JAVA app such as CoffeeMUD the Orange Pi may be something worth looking at. If you’re expecting this unit to come to life out of the box for all of your emulation and gaming needs you may be a little disappointed. Will it replace my Banana Pi M1? Probably not, even with just dual-core 1.0ghz it stays as the OpenSim and fileserver of choice due to Gigabit ethernet and SATA controller. 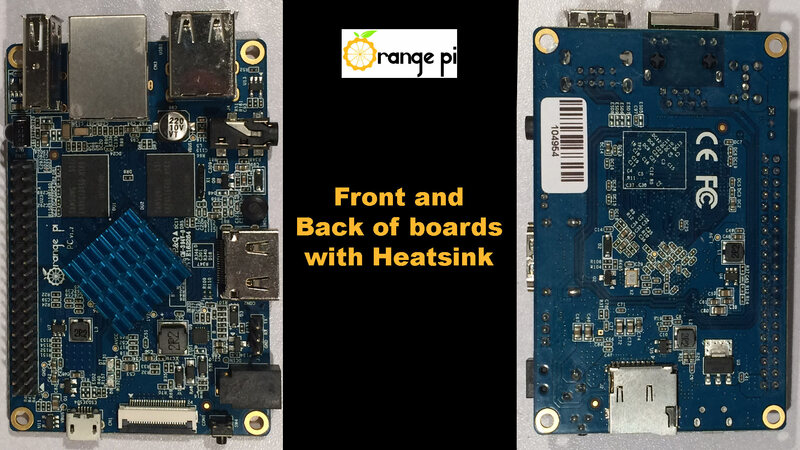 The Orange Pi 2 has those features as well but for MORE then the cost of the Banana Pi M2. So not worth it in my book. It’s only 15 bucks S! Come on! Don’t be a jerk! $4 – MicroSD Class10 Patriot card. – NewEgg. 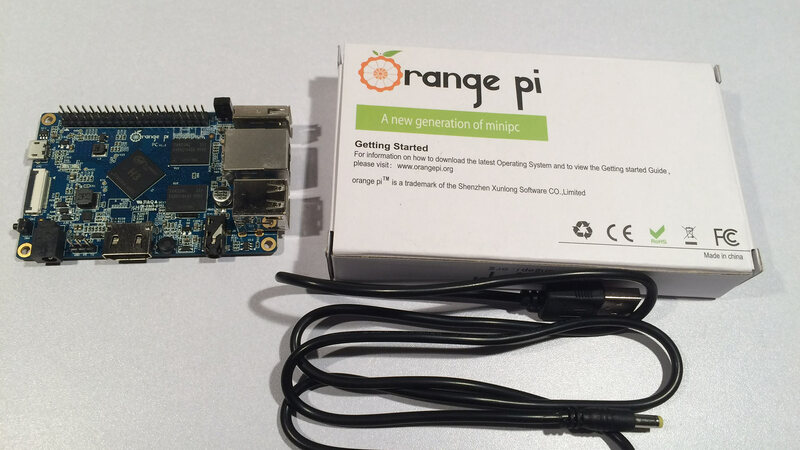 $22 – Orange Pi from Ebay – American Dealer. $0.75 hammond-style ABS enclosure – American Science and Surplus – Physical Store nearby. $1.00 – 2x LM2596 DC step down circuits 12vdc < – > 5.10vdc 3amps max. I-pad charger to charge Orange Pi with – Found in parking lot in working order. Self-Powered USB hub so Orange Pi didn’t drop out if too many devices were plugged in – From previous bitcoin project. 40mm fan used for cooling. – Recovered from old Pentium motherboard. Pack of 10 blue chipset heatsink coolers. – Unused from old Geforce video card upgrade. Keyboard/Mouse/HDMI cables to actually interact with unit. We are being a little rough on my review of this poor device and we do apologize for this. But competition for the embedded computer market has exploded since the invention of the Raspberry Pi and in order for Orange Pi to truly compete they have to make conversion from the many flavors of Pi as transparent and painless as possible. And so far, the Orange Pi has failed at the time of this posting. We want to see the fastest/cheapest Pi that the end user world can get their hands on. But not at the cost of hours wasted obtaining some level of proprietary support. The community submits update images to actually make the Orange Pi work. The community and third party groups such as SUNXI and the Allwinner projects corrects its own problems with software by debugging and reporting back to itself. Xunlong Software / Orange Pi makers just pump out a board and take your money. Suddenly, you appreciate paying $35 to Raspberry Pi to continue their notion to educate people. I now start to worry about my kick-starter investment into C.H.I.P. To call this “A new generation of mini PC” as the website of Orange Pi states may be pushing it a little when the unit has not even come out of its beta stages of software development. The whole concept of getting something this powerful is truly amazing but it doesn’t come without it’s faults. These are my opinions and findings and mine alone. Facts are subject to change based on the progress of software/hardware development. If it makes at least one person think twice before an impulse buy and take a hard look at these Chinese boards before buying then it is considered a mission success story to us. Look at the community, see the problems out there, look at the hardware. Understand that just because it has the word “Pi” in it doesn’t mean it’ll be as great as the original. Especially if it’s a fraction of the cost. Give support to companies which truly want to earn your support. Instead of just ignoring you after they receive their money. That’s all we have to say. I concur! I wasted a day of my life trying to get the “right” software and settings on a Orange Pi Lite, just trying to make a simple kiosk screen! I have done the same with Raspi in the past. I gave up, ordered a few more Raspberry Pis! Cutting corners to save a few bucks is just not worth it. Having tried to get a CUPS server running on a RasPi Zero (it runs but doesn’t print) I transferred my affections to the OrangePi Zero – an altogether different order of beast. I stuck in a card and Raspbian I’d previously used on the RPi 3 and RPi Zero and it worked OK. No excessive heat. No dramas. No printing. The big difference between the two boards, from my point of view, is that I can get a monitor to work on the RPi but not on the OrangePi. Except if I get an old composite monitor and hobo-rig onto the 13-pin connector. Even VNC, which works well on the RPi, won’t install on the OrangePi. I’m visual – I need to see what I’m looking at. Lucky me i already had AC charger and powered USB HUB. Thank you for such comprehensive article. Well! The good news is the Orange Pi is probably one of the cheapest ones to loose your money on. Also note that this article is a little dated and I have heard that the Orange Pi COMMUNITY has been making progress in getting 3d acceleration working in some of their later images. Just make sure you have a really good flash card and it should be fine to play around with at least. If you’re doing anything CPU intensive we’d recommend putting a heatsink on it. Like the Pi’s they get a little toasty. H3 boards are still the cheapest and now they run fine thanks to linux-sunxi & armbian community. I also heard that they’ve been getting the chipsets working on the Pine A64’s as well. So it might be time to revisit all of these embedded boards again and see how much they have changed. Orange Pi, + DS18B20 + jumper leads + resistor came to less then $10, and works perfectly as a digital thermometer. However, do NOT use Android on them, Android is the biggest bottleneck. Instead I installed Armbian’s version of Debian, which runs really slick and really nice. I use my OrangePi for an OpenSimulator server. works out rather well given the cost and the cpu power. But a lot of people jump into these devices thinking it’s going to be like the raspberry pi. which it isn’t. certain aspects are underdeveloped for it such as the GLES modes. It took them a while just to get the GPIO working with most of the kernel builds out there. Does anyone have any views on Orange Pi Zero ($7/9 with 256/512MB) running under Armbian legacy kernel? How about GPU use with TV channel like video streaming ( no videogames)? Can we use the very popular VLC here to do multi-streaming from HDMI and TVout ports on higher models, or with OPi0 using Wifi and TVout ? These boards are very fussy about what SDcards they will boot from, but I found that they worked with Class4 Kingstons. I had a couple that wouldn’t boot Armbian at first, but for some reason, after booting into Android once, they now work with Armbian perfectly. I just got it & I don’t know the history of the board but I think they are working hard to make it stand among other boards. I’m using it headless as MQTT server for my home automation project. Currently I am trying DietPi (http://dietpi.com/) but not for the Lite but for the One – I am trying to get the built-in wifi to work with it but not yet working. For these specs & this price I think OPI Lite is great for IoT. There is a Cantonese saying “no such big goose running along the streets”. When I was looking around for an upgrade to the first gen RPi, this seemed like a dream (based on price and specs). After reading your post, I realize that I may have purchased a cheap alternative that could even be worse than my RPi. Well, it is a cheap price for lesson learnt (unless this thing blows up on me like a Note7). I am not a fan of oragne-pi. However i have seen most of the people (including me) make the mistake of using a cheap power supply as the power source. My advice is that if you fail to boot the board, just hookup a usb to ttl converter to the serial connector and try to see the log. If it abruptly stops, power supply is to be blamed. Eventually i used the usb port of my laptop to power the board and everything worked without any problem. It’s very difficult to start with this board due the lack of documentation. But at the end it works. * A non compatible SD card. Use at least, a class 10 card. Don’t try OEM cheap cards or slowest cards as class 4. * Incorrect OS image. The official distros of Xunlong are bad maintained. To new users we recommend Armbian, it’s one of the best maintained distros. We have to edit out your facebook entry as I don’t support web 2.0 social networks here for an array of reasons. We hope you are not offended. Your wiki is interesting and a good start but still needs to talk about the foundations such as Phoenixloader and a compatible list of SD-card that work with androids from the forums. As well as the basics such as Linux flashing and configuration. You talk about poor energy. Well, what exactly is the minimum power requirements of the Orange Pi? Neither Xulong or the Wiki talk about this. Reguardless I assumed worst case scenario for my Orange Pi and hooked up a 3amp DC-DC block to it. I haven’t bothered hooking an Amp-Meter to it but I’m going to state it’s probably around 2amps since the I-pad charger rated at 5.1vdc 2.1 amps was good enough. Good to know about the OTG port and yet-another engineering problem that the people at Xulong screwed up on. We already did about the minimum restrictions of the MMC cards and Orange Pi’s inability t cope with slower MMC cards. Incorrect OS Image. This is funny to us because unlike just about EVERY pi-marker to date the company official images are NOT the good images to use. This site does not recommend Armbian and instead recommends the user created images on the orange Pi forums especially the ones made by Loboris. The debian jessy images as the best for those who are used to the Rasbian environments. And the Ubuntu images are getting better with compiling games like quake3 on the Orange Pi to work. Dang…after all that, it was the power supply. I tried another supply and it booted immediately. Thanks again for the help! (and I’m still curious about your screencast tool…your video tutorial is very nice). Well, glad to hear that you finally got it going! Power supplies cursed me when I got my very first Raspberry Pi B+.. Always crashing, never stable.. And despite how much IT gear I got I had an entire crate of 12vdc bricks but only a few weak 5vdc chargers. after going with 12vdc supplies with a 3Amp DC step down circuits tuned to 5.10vdc. I haven’t looked back. Ohh! for my videos I used a screen capture tool called Action! by Mirillis. Love it because it can use your GPU for rendering and the license was cheap. As for when I want to actually show what’s going on via HDMI, such as showing the my Pi’s or android boxes in real-time. Then I use my Elgato 60P game capture. A little more pricey and the software has issues from time to time. But the output quality was amazing. Can you detail exactly what you did to get a working image? Those of us still struggling with the Orange Pi would love to know! 1. class-10 UHS-1 is a minimum and a must for the Pi. Reasons stated above in blog. 2. Stay as far away from the “official” images provided by OrangePi/Xunlong. Those are pure garbage. Instead go to the forums and either pick one for Loboris or a user generated one. Since I loved the feel of Debian as it syncs with all of my other Pi’s I downloaded from this thread http://www.orangepi.org/orangepibbsen/forum.php?mod=viewthread&tid=867&extra=page%3D1 which has a copy of Debian Jessie with GPU driver and CPU power management support going for it so your Orange Pi will not burn. 3. Do not forget to download script.bin and UImage files for the Orange Pi PC edition. without injecting those two files into the root of your FAT partition after imaging the bootloader will fail. 4. if you’re working with android images from the forums be sure and use a smaller sized Class 10 TF card as the larger 32gb ones tend to lag the Orange Pi causing terrible disk access issues. Now, because Orange Pi made diagnostics of their unit really difficult via LED lighting the most honest way of finding out of your Orange Pi PC is truly dead or if it’s something else like a boot-loader issue from a bad image or it not even sensing the SD card is to use a TTL serial debug cable. The three pins between HDMI and Power is your TTL connector. I used a FTDI chip commonly used for Arduino programming which you can see in action by this youtuber. And the beauty of looking at your Pi through serial is you get begin to see how it boots even before your HDMI signal on your TV engages. Typically it’s about 1-3 bucks to get one. I’ll provide better structure for this procedure sometime this week. But these are some quick pointers/notes that _hopefully_ help you out. Thanks for the blog and for the speedy and comprehensive reply! I will check out your video and the images you linked to. I have been using a USB-to-ttl serial adapter from the start so I’ve been able to watch the details of image after image failing :-( I’ve tried quite a few and have installed the proper (I think) uImage and script.bin, but invariably the boot fails at some point. I’ve been trying with both an OPi One and an OPi PC and I haven’t gotten either to boot from uSD successfully yet. It’s possible that my issue is the power supply. I’ve been using a PSP 5v 2A power supply from LovePi; I measured the voltage under load as 4v95 so I think it’s working fine, but if I can’t get an image to boot soon, I’m going to cut the connector off and hook it to a higher current bench supply that will let me watch the current draw. It’s pretty astounding that XunLong hasn’t made a single bootable image available for each of the Pis…even if they sold it, they would be vastly more successful. I’m an embedded engineer with more than 25 years experience; I’ve designed lots of ARM/Cortex-based products and if I’m finding this frustrating, it’s a bad sign. I bought my Orange Pi direct from China. I spent hours trying to get it go (yes, I tried many class 10 cards and even different images). One item you forgot to include in your ‘items not factored in’ is the amount of time and frustration in trying to get a ‘promise’ to go. Always thinking “Is it my or their problem?” In the end I gave up. Ali Express refunded my money (well done Ali!) and the Orange Pi ended up in the recycling bin. An experience to be forgotten (after learning my lesson). Glad you got your money back! The overall quality Xunlong delivered to Ali Express users during their initial launch wasn’t great. Since this blog entry my opinion has not changed much of the Orange Pi despite getting it working. And with Pine and Raspberry Pi 3 arriving today the Orange Pi goes into my Pi collection as almost a hall of shame chapter. I don’t see Xunlong really learning from their mistakes. If their website is any indication about their attitudes it seems they want to double-down on getting money from people fast and leaving them in the dust when it comes time for support. It’s really sad. There’s plenty of Pi’s out there.. But this one is quickly going into the ‘stay away from this one’ catagory. Thanks for this post, very nice summary. I think Orange Pi sticks out for being one of very few boards that have on board storage. Raspberry pi always seems to corrupt my SD card but with the pi plus and on boards storage it seems to be working very stable on loboris debian. True, but for eMMC support you need to purchase something more then the OrangePi-PC that was originally for $15 upon release. For that you have to upgrade to the Orange Pi Plus which minimum price I’ve seen out there was close to $50. Which from my experience with the Orange Pi PC I don’t think I want to invest in an upgrade and would instead go for a Bannana Pi M3 or Raspberry Pi 3. I was never a big eMMC fan because of my run-ins with repairing android boxes where the eMMC corrupts itself and makes the board useless. Would rather throw away a TF/MMC card then throw away the board. I can only agree with you. More since my Orange Pi Plus is practically dead with no indicator what went wrong at all. Only the single red led is on, but nothing on the screen, probably something from the debug ttl UART, but I won’t spend time analyzing it. Even my 2012 Raspberry Pi 1 B still works fine despite it’s been used as both Wi-Fi extender and mpd machine constantly 7d/24h. Read your blog, interesting and to the point. Still trying after 4 months. If you want to go headless its ok to a point. On some flavours the webcam worked but on others it would only pick sound up, on some flavours it would udate itself and not reboot itself, BUT finally I found and image from beelife that worked perfectly with all 3 usb working updates available if you want them…the only trouble is if it reboots you have to press the little switch for it to come back on. I tried beelife during my review and couldn’t get it to boot properly. It’s been a few months and I should revisit all of the images again to see if things got better to make me change parts of my review. I am in agreement with you on almost all the points.Try armbian os on orange pi .they are really cool head guys making cheap mini pc usable. Did they manage to finally get framebuffer working alongside X11 acceleration with the Mali 400? I know the heat issues was just barely getting addressed at the time of my posting this review. But the GLES acceleration was only in X11 and it was painfully slow. If any distro gets framebuffer going I would give it a try because it would then open the doors for full screen apps in a minimal shell environment like what I was more used to with the Pi community. I do have a perfect copy installed on a 16gig sd card. But after you replied I thought I would try again on an 8gig card as I originally tried 1st 2nd 3rd time, no go it just stops vids with buffering and lag on opening files. Took hours on first boot and same OS version would not accept video on webcam reeeeeally strange.